Somehow the day is again, as usual, getting away from me, so this will be a rather short post. Yesterday was Easter. SP spent the early afternoon visiting with his family. In late afternoon, he picked me up and we went to my parents' and had dinner there. We had a really busy weekend planned, so my mom said she would handle everything, even dessert, and that was a huge relief. Much as we enjoy cooking/baking, sometimes we just don't want to be in the kitchen and sometimes, like this past weekend, we just don't have the time to do much of anything beyond sandwiches. 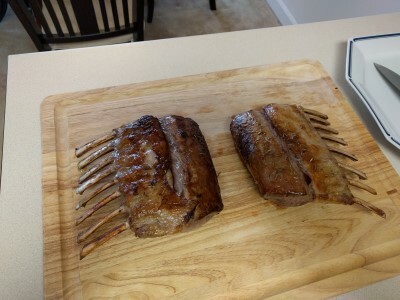 Mom made rack of lamb. Yum! She put SP in charge of slicing it because she doesn't like how my dad does it! Poor dad. Mom knows SP is big on veggies, so she always makes sure there are a lot of veggies. 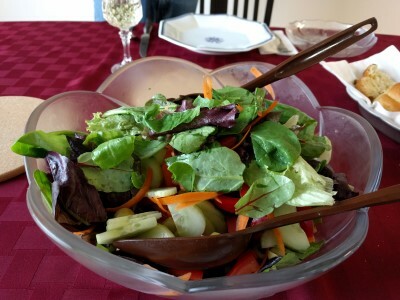 She made a salad and her homemade Poppyseed Dressing, one of my favorite dressings. 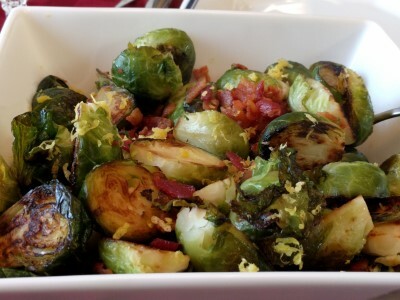 Pan fried Brussels sprouts with lemon zest and bacon. 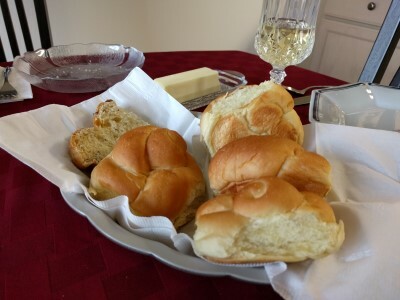 Dinner rolls & raisin paska from Bethel Bakery. 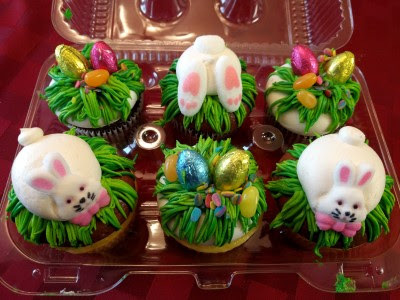 Easter cupcakes from Bethel Bakery. I ate the bunny bum one because it was the only chocolate cake with chocolate icing cupcake. I didn't eat the bunny feet, though. Talk about a sugar bomb! 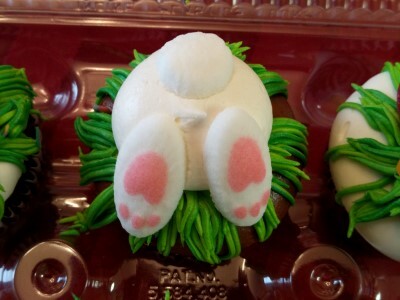 The bunny feet and faces were those slightly hard, pure sugar decorations. 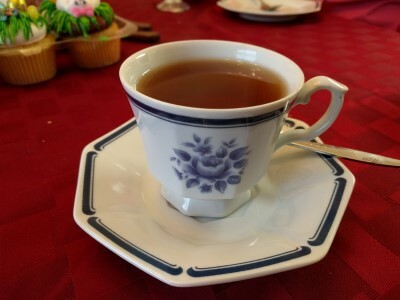 Before and during dinner there was chardonnay (our contribution) and old fashioneds (also our contribution) but after dinner, hot tea in mom's good china turned everyday china. As she put it, we've been married 47 years and we don't host formal dinner parties, why not just use that "good" china we received when we married? So they eat off "fancy" plates every day! 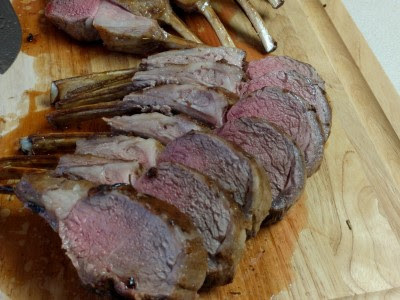 A delicious Easter dinner courtesy of mom and dad. Then we came home and watched Daredevil on Netflix! Hope your Easter / Sunday was as delicious and lovely as ours was.